Should I Have Gone to the KKK Rally? My friend Jimmy Bob and I have a disagreement, and I wonder if you can give your opinion, and maybe settle the issue. It all started when Jimmy Bob invited me to the Ku Klux Klan rally in Harrison, Arkansas. It was to be a grand event, he said, with a big election for Grand Dragon of the Ozarks - that’s the head honcho bull goose Klansman around here. “Well, I don’t reckon I’ll go. I like diversity and pluralism and tolerance. I’m not into the tribal thing,” I told him. So he went to the concert-rally-election, mainly on some farm near Harrison. It was held on a long weekend, and definitely made the papers and news feeds. 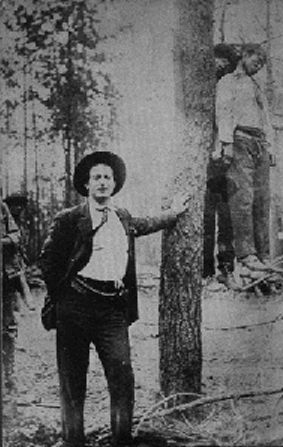 “17 Lynched in Arkansas” the headlines blared. I couldn’t wait to get a first-hand story from Jimmy Bob. This didn’t sit right with me. There’s something about morality, about moral culpability, that says participation in a bad act accrues culpability, blame, or guilt. Conversely, it seems to me that non-participation cannot accrue culpability. So I ask you: Should I have gone to the rally and voted? More generally: Does participation in a group or process give participants (e.g. voters) some culpability for bad or criminal consequences? What about non-participants?